One of the main reasons I see for all the confusion in nutrition today? People seeing association as causation. Association is 2 things that occur at the same time. This doesn’t mean that one causes another. Causation is a description of cause and effect. One only happens directly because of the other. Yes, it’s sunny when you’re at the beach, and raining when your umbrella is up. But going to the beach or reaching for your umbrella won’t change the weather, of course. If we understand this, why believe that eating how Elle Macpherson eats is the right thing to do? Yes, fruit contains sugar, and a high sugar intake can increase body weight. But increasing fruit consumption to 2 serves a day enriches your diet with fibre, vitamins and antioxidants, reduces heart disease risk by lowering blood pressure and cholesterol, decreases risk of early death by 12%, and does not actually lead to any weight gain. Yes, grains contain carbohydrates, and a high carbohydrate intake may impair weight loss and lower good cholesterol, increasing heart disease risk. But 40-50 grams of fibre-rich grains a day (only slightly more than 1 slice of wholemeal bread, or 1 bowl of oats) enriches your diet with vitamins, minerals, resistant starch and antioxidants, actually reduces your risk of cardiovascular disease, diabetes, and bowel cancer, plus supports better weight management, too. Yes, nuts are rich in calories, and reducing calories is the most important dietary factor for weight management. But just 30 grams of nuts a day (about 20 almonds, or 10 walnuts) provides unsaturated fats, fibre, phytochemicals and antioxidants, lowers risk of heart disease (by 30%) and diabetes (by 18%), and does not promote weight gain in any way. Yes, dairy products usually contain saturated fat, which increases cholesterol and heart disease risk in comparison to unsaturated fats, and dairy increases prostate cancer risk too, particularly if more than 3 serves a day are consumed. But about 2 serves of dairy a day (1 serve is 1 small tub of yoghurt, 2 slices of cheese or 1 glass of milk) is widely recommended as it provides calcium, protein, B vitamins and zinc, does not increase cardiovascular disease (it may actually reduces its risk, especially if fermented dairy foods are eaten, such as yoghurt and cheese), and may help to reduce body fat as part of a calorie-controlled diet, too. Yes, red meat can increase bowel cancer risk, when 120g or more is consumed each day. But 120g of red meat (red meat includes beef, lamb and pork, and 120g is about the amount of 1 regular steak) consumed no more than 3-4 times a week provides easily absorbed iron, protein, zinc and B vitamins, does not increase heart disease risk when trimmed of visible fat, and, due to its impressive nutrient profile, may help with both weight management and meeting nutrient requirements on a calorie-controlled diet, positively affecting health. Yes, coffee is rich in caffeine, which often leads to anxiety, insomnia and palpitations, in excess. But 2-3 cups of coffee a day is not only safe for most adults, it reduces diabetes risk by 20%, and has no negative effects on long-term blood pressure or heart disease risk. Yes, 2 or more standard drinks of alcohol a day increases blood pressure and the risk of oesophageal, bowel, liver, breast, prostate and pancreatic cancer, plus stroke and premature death. But about 1 standard drink of alcohol on most days is not only safe, it is actually associated with a 29% reduced risk of heart disease compared to not drinking any alcohol at all. Yes, confectionary and highly processed foods contain refined sugars, starches, salt, or saturated fat, directly contributing to poor health and lasting disease in excess. But when no more than 500-1000kJ is consumed (500kJ is about 2 small scoops of ice cream, 6 small lollies or 1 small doughnut), it is not only compatible with healthy living, it can also provide you with satisfaction and joy, which quite ironically, in this way may actually reduce your likelihood of overeating calories and gaining weight and improve your immune functioning and physical health. 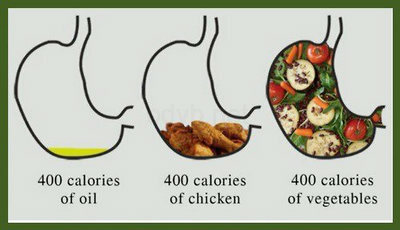 Notice, then, how it is the amount of food we eat, and not so much the food itself, that determines its health effect. Whilst fad diets talk to us about good or bad and all or nothing, evidenced-based nutrition promotes the concepts of moderation and balance. It argues “everything in moderation” because it demonstrates that it is actually the amount that matters most. The challenge today is how to separate fad diets from good nutrition, so that we have an informed understanding about where the healthiest ranges actually exist. So to help make it slightly easier for you: in all my time spent reading the literature, never have I seen the healthiest range for a whole food group or major nutrient exist only at zero. There is sound and consistent evidence that including protein in our meal can help us to feel fuller and better manage our weight. Indeed, research suggests a higher protein diet may be one of the best dietary strategies for long term weight maintenance. My experience is that whilst we are good at including a protein source at dinner, we too often skip protein at breakfast, and occasionally lunch too. A small tub of yoghurt or a handful of nuts as a snack if we are hungry in between meals. Note the goal is not to eat as much protein as possible, nor to eat just any food that contains protein. Instead, it is about making sure we consciously include a nutritious protein source with each meal. Is eating low-fat an effective way to lose weight? A high fat, Mediterranean-style diet. One of the biggest developments in nutrition science is this: the conventional low-fat diet may be one of the least effective dietary strategies to both manage your weight and promote good health. Why? The unifying theme that explains the advantage of each of the other diets is simple: they reduce the intake of carbohydrate-rich foods that are highly refined and low in nutrients. When we eat low-fat, we more often than not default to these sorts of foods. Note that these foods include some sugary foods such as soft drinks, juices and confectionary. But they also include some starchy foods such as refined grains and flours like white bread, white rice, refined cereals and refined crackers. The constant spike in our blood sugar that a high consumption of these foods produce results in significantly poorer health over time, except in the leanest and most active of individuals. Of course, it is far too simplistic to say that all carbohydrate-rich foods result in weight gain and poor health. A vegetarian diet, for example, is typically a low-fat, high carbohydrate diet. It is consistently associated with lower body weight and better health. A key difference is the quality of the carbohydrates eaten. The vegetarian diet is typically rich in carbohydrates from minimally processed plant foods, such as legumes, fruits, starchy vegetables and fibrous grains. The problem is not carbohydrates per se, but that the quality of our carbohydrate choices today are usually poor. Sure, enjoy some highly refined and nutrient poor low-fat foods for enjoyments sake. But please don’t eat large amounts of them because you think they are helping you to lose weight. Each of these foods truly nourish our body and research shows time and again that their consumption is strongly linked to our health. Notice they are not all low in fat, low in sugar, low in calories or low in carbohydrates. But they are all minimally processed plant foods that together form the base of a diet rich in quality fats, quality carbohydrates, dietary fibre, resistant starch, vitamins, minerals and an array of different antioxidants. When we eat them consistently we improve the way our body functions right down to the cellular level, and in this way not only benefit today, but markedly reduce our long-term risk of weight gain, heart disease and diabetes too. Enjoy all foods. Especially plants.